Tormetal deals directly with first stage Iberian and international equipment manufacturers and OEM clients and manufacturers from different sectors with high consumptions that require a specialist to guarantee the availability of their products and generate efficiency through services that provide value to the client. The presence of our Group’s subsidiaries abroad facilitates the expansion of our advisory and support services in other countries. 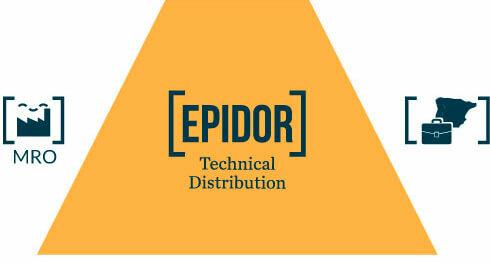 Through the company EPIDOR Technical Distribution it distributes its wide range of mounting hardware, offering service due to the local nature of its offices located in all part of the peninsula to MRO clients whose needs mean having a supplier that can provide them with a varied range of products.